Recently someone pointed out an article on the web that made me think. How often do we take images on the run with our family or have images created at Keepsake that is just of the kids. So when all is said and done, if I can’t do it for myself, I want to do it for my kids. I want to be in the picture, to give them that visual memory of me. I want them to see how much I am here, how my body looks wrapped around them in a hug, how loved they are. 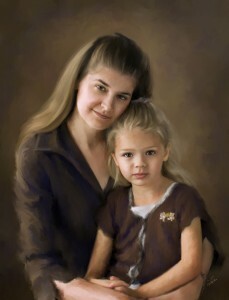 Here is one of my favorite portraits that I have created of my wife and oldest daughter.